Name: Sundays in Denny Park! 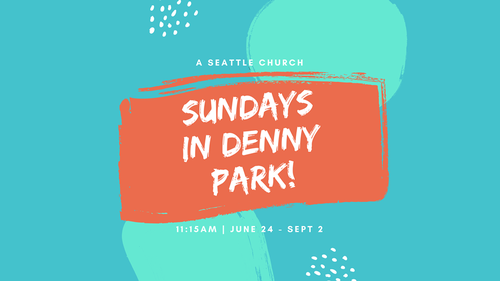 Join the A Seattle Church Community this summer for "Sundays in Denny Park" for their community gathering, with BBQ, music, message, kid's activities and more in the beautiful park. Along with their collaborators, Compass on Dexter, The Sanctuary at Denny Park, Evoke Coffee, and Mary's Place, it will be a great time! Free and welcome to all!